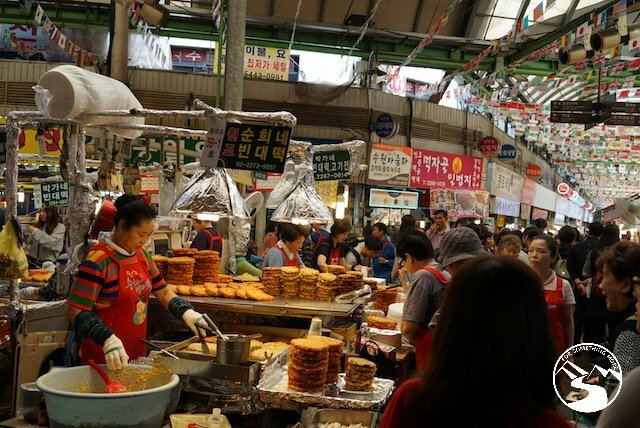 Get your walking shoes on because our self-guided walking tour itinerary for two days in Seoul, South Korea is going to cover over 10 miles each day, but we promise, you’ll LOVE the sites we have in store for you as you weave and wander your way through this vibrant metropolis which covers more than 600 square kilometers and is home to over 9 million people. Frankly, two days in Seoul, South Korea is only going to leave you wanting for more, but if you do only have a weekend to spare, we’ve got a jam-packed itinerary for you. Our itinerary is experience-rich yet light on the wallet. If you have any questions about any of this, just leave a comment in the comment section below, and we’ll be sure to get back to you. 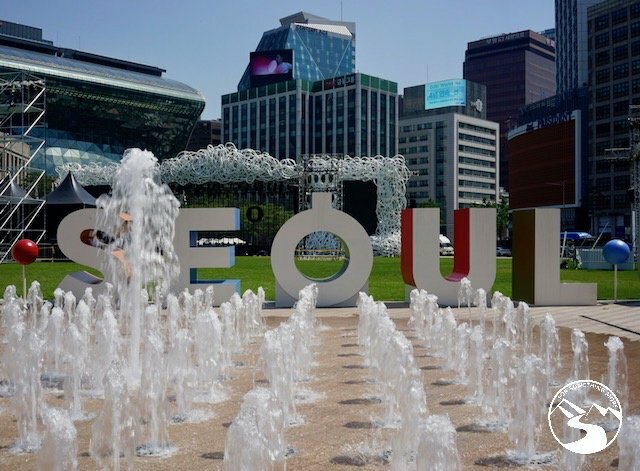 Without any further ado, we bring you our snapshot of Seoul for your two days in Seoul, South Korea! Everywhere we went on our self-guided walking tour is included in our Snapshot of Seoul Google Map, right below! So, if you’d like to go to the exact places we did, you should have no problem! On the map itself, make sure to click the little map legend button (pictured below) to see all the labels for our various pins and points of interest! You made it! Now, it’s time to get to the city! The fastest way from Incheon International airport to the city center is to take the AREX Airport Express train to Seoul Station. The All Stop Train is slightly cheaper, but it takes an extra 30-40 minutes. The earliest train you can hop on departs at 05:15 AM. See the AREX timetable here. 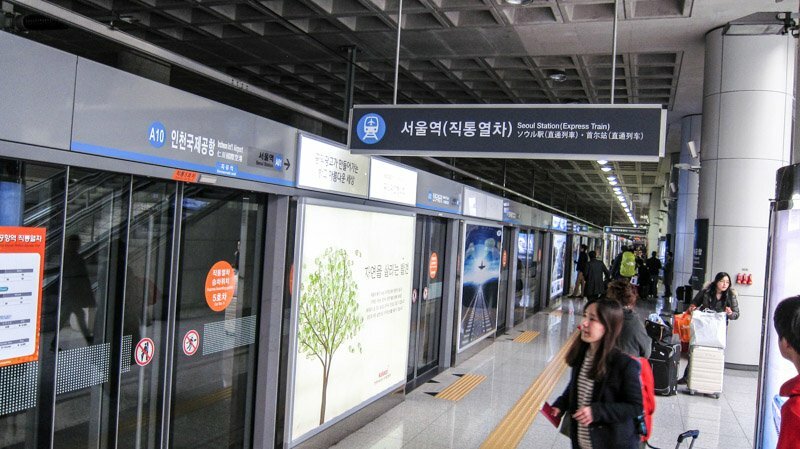 When you arrive at Seoul Station, use the Korea Subway app to find the shortest route to your destination. TIP: Don’t forget to find a little ticket deposit machine at the end of each journey to collect your 500 KRW ticket deposit. The machines are usually located right outside the turnstiles when you exit a station. 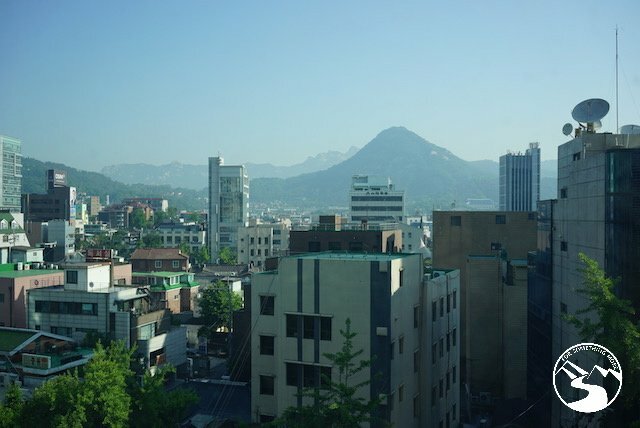 We chose to stay in Jongno-gu, the historic area of Seoul, for the simple reason that many famous sites are all within walking distance of each other. 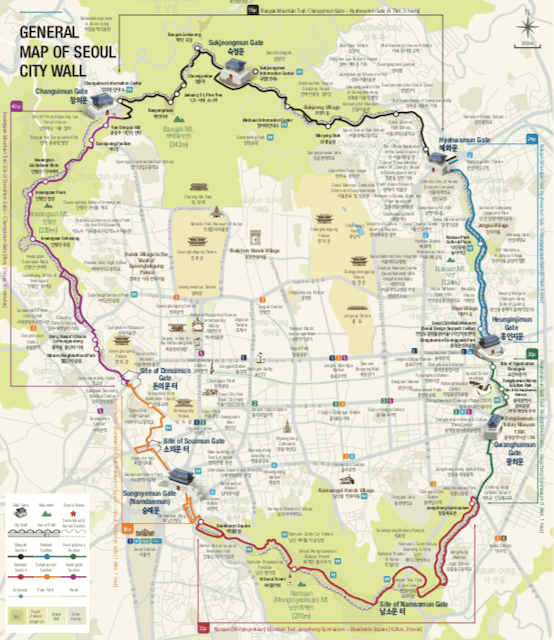 Of course, if there is ever an attraction that seems just too far to walk to, the public transit system in Seoul is one of the best in the world! The AirBnB we stayed in was PERFECT. There was a keypad for entry, so we didn’t need to worry about meeting up with the host to get a key. If you’d like to stay at the same place, please reach out to us for more details. 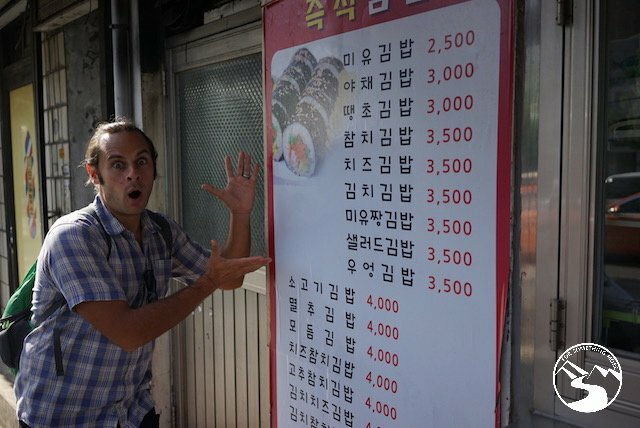 Head to the breakfast place labeled on our Snapshot of Seoul Google Map as “Breakfast Sundubu Place” to enjoy some delectable Korean stew (jjigae) and/or kimbap. If you don’t want to go to our place, these dishes are quite easy to come by just about anywhere. 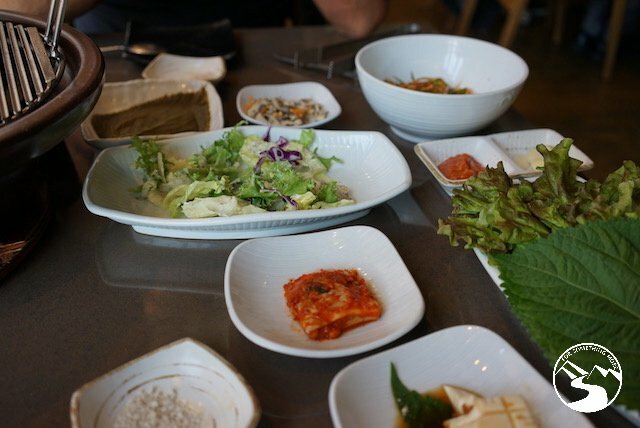 If you didn’t already know, Korea has some of the most rich and savory eats on earth! Jjigae is usually served boiling hot and in a stone or ceramic bowl. 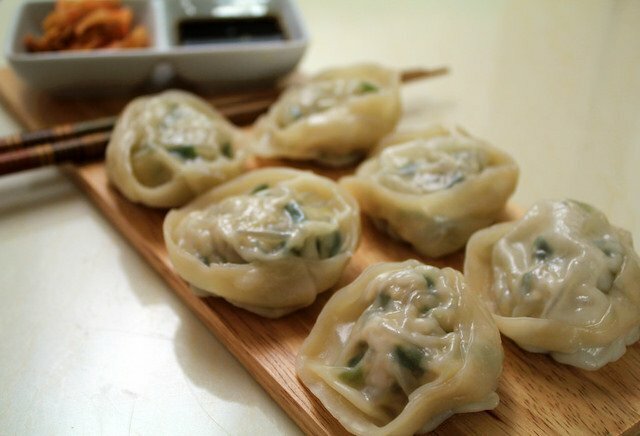 Korean tuna kimbap (cham-chee kimbap) is one of our favorite Korean breakfasts/snacks! Gyeongbokgung Palace is the largest of the five palaces in Seoul. 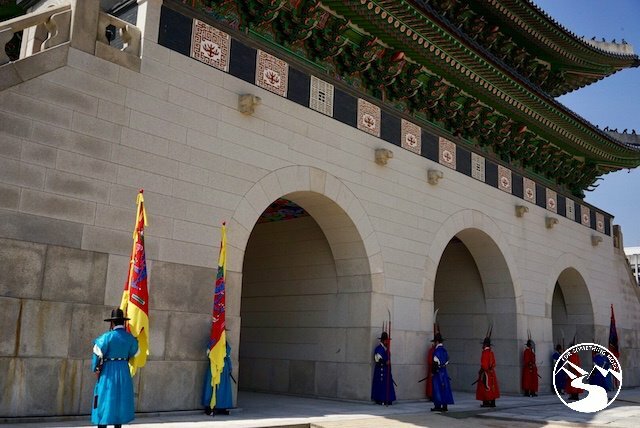 It was built during the Joseon dynasty, and it served as the main palace where kings resided and conducted government affairs. There’s a reason so many people visit this place – it’s breathtakingly beautiful. If you get there slightly before 9AM, you will likely avoid the crowds! Furthermore, plan to exit the palace on the hour (10AM or 11AM) to view the changing of the guards ceremony. 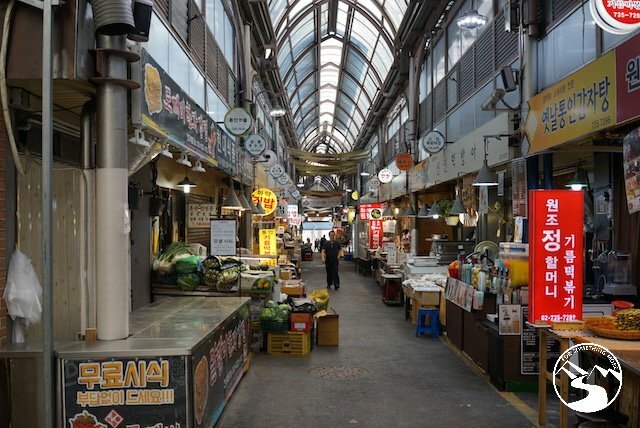 Tongin Market is the next stop on this self-guided walking tour, and it opens at 11AM. Get there a bit earlier to ensure you’ll get the freshest eats of the day! 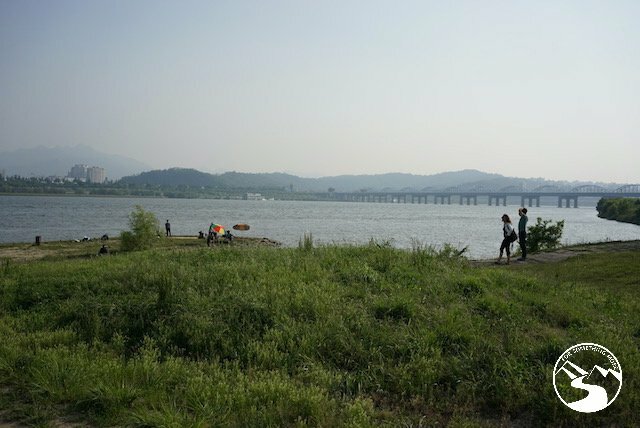 Something we didn’t know when we went there, but which we have subsequently discovered is that you can pay 5,000 KRW in exchange for some coins and a lunch box. You can then use these coins to buy various foods to fill your box from different food stalls. Check out this Tongin Market food guide! for the full details on how to do this! Are you someone who likes to wander in the back alleys of a place? 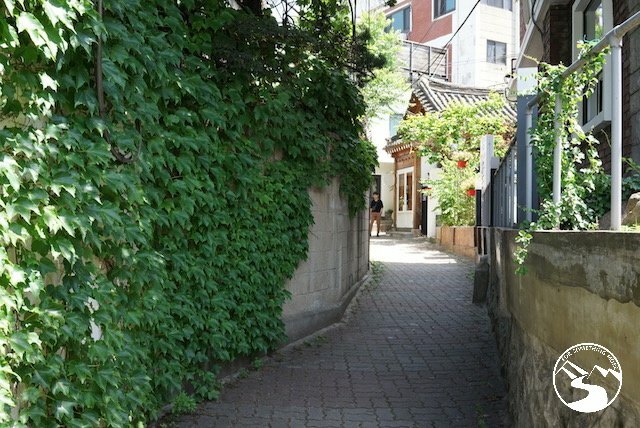 Well, Bukchon Hanok Village has a plethora of alleys that will bring you back to what urban life was like 600 years ago. Lose yourself in the quietness of the streets and ancient architecture. The entire place is tranquil and will be just what you need to rejuvenate yourself for the remainder of your two days in Seoul, South Korea. 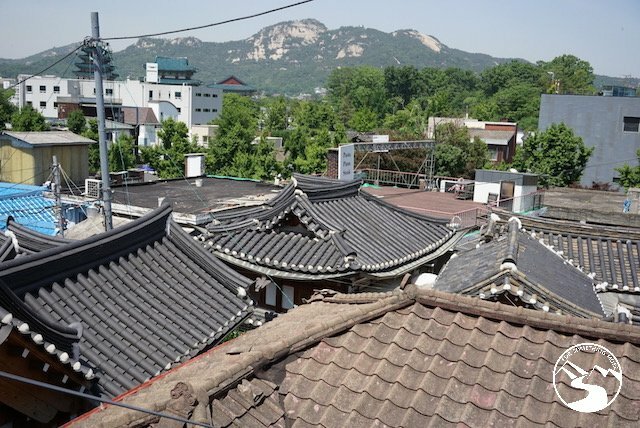 This Seoulite entrepreneur has taken matters into her own hands by offering to visitors a beautiful rooftop view of the village. 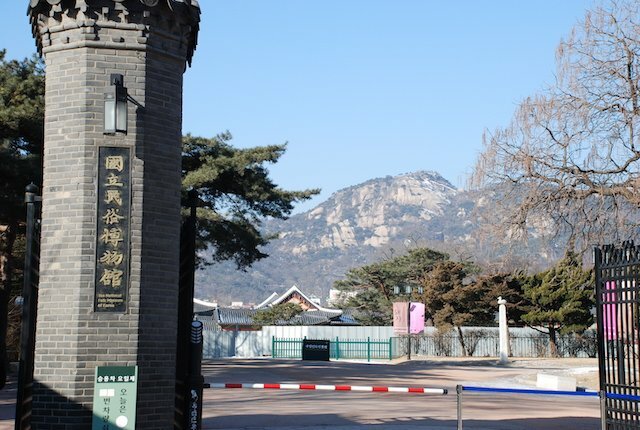 Simply find the location of the Bukchon Observatory on our Snapshot of Seoul Google Map and head up to the third floor for some views and refreshments. We saved the best site for last! 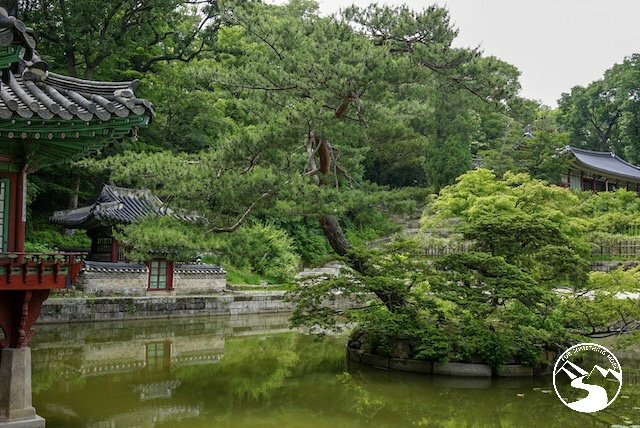 Changdeokgung Palace is smaller than Gyeongbokgung yet more picturesque and is comprised of a lush secret garden that is alluring to nature-lovers and history buffs alike. You can only enter the secret garden with a guided tour, and it takes about 1.5 hours to walk through it. Allow yourself 2.5 hours total to visit this gem! 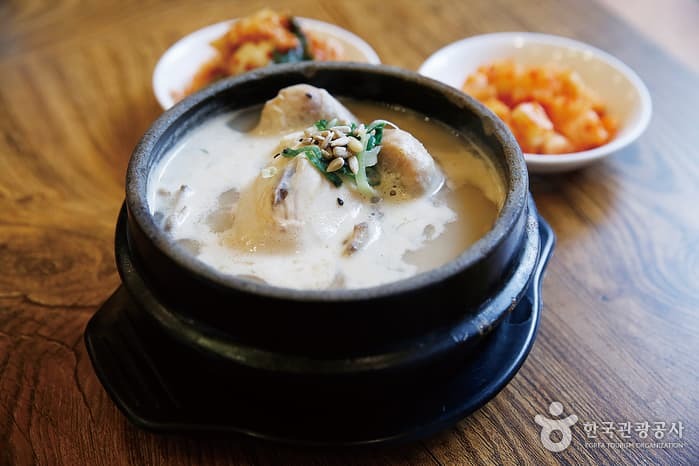 Our AirBnB host recommended this Tosokchon Samgyetang Chicken restaurant. We wish we could have checked it out since Samgyetang was one of our go-to foods when we resided in SoKor but, we decided instead to have an early evening feast with beer at a hof near our accommodation (hofs are restaurants that serve fried chicken and beer). We don’t blame you if at this point you need to sleep off your jam packed day of exploration, as we certainly did, but if you’re in the mood for some real Korean partying, buy some soju at a local GS25 and head to a norebang (a karaoke bar) for some late night karaoke! Kimbap is a perfect hiking food! 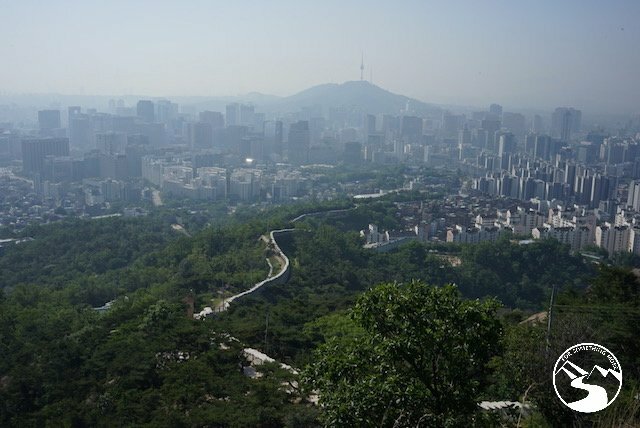 8:30 AM – Start Your Seoul City Wall Hike at Inwangsan (Mountain) trail. 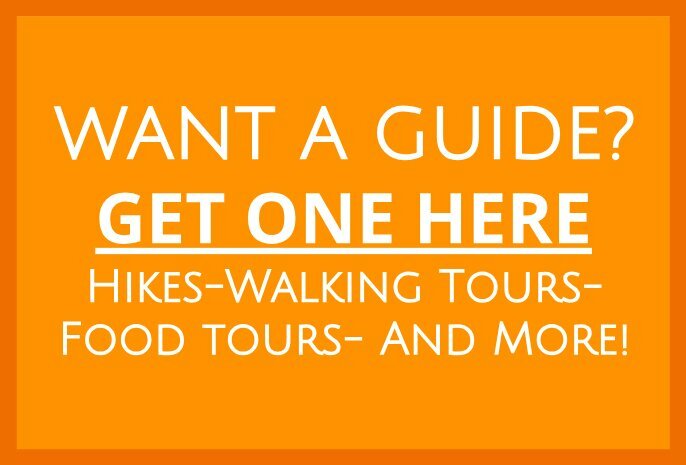 What self-guided walking tour would be complete without a bit of hiking? Not ours! 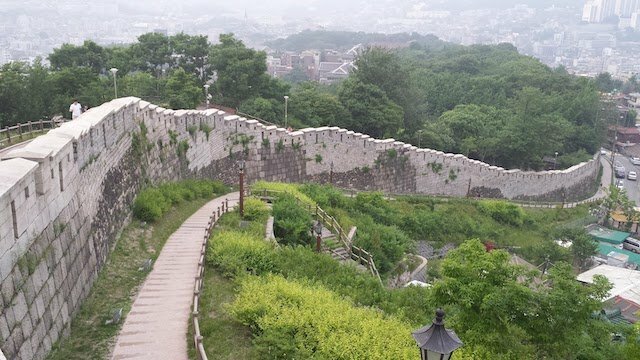 We hiked a bit of the Seoul Wall, and in particular the Inwangsan Mountain Trail. The views from the top were spectacular, and we were glad we put in the effort. 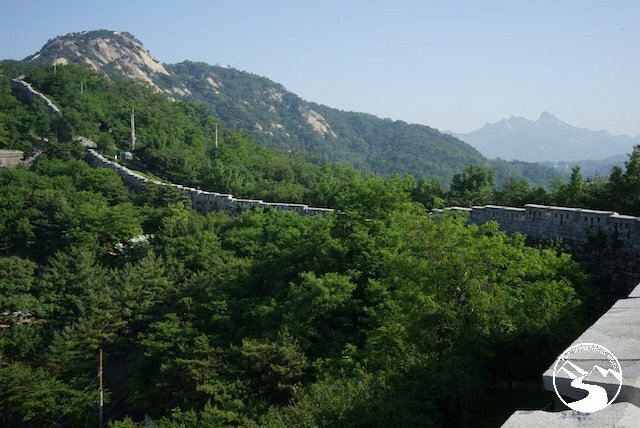 The purple section in this Seoul Wall hiking guide is the section we did – the Inwangsan Mountain Trail. You can also see the purple section in the map below. It took us a few hours at a moderate pace, so hiking the entire thing would take quite a long time. If you’re following our itinerary, the trail head we used was right here! Very near the trail head we used, there is a 7-Eleven, so double check that you have enough water and snacks for this hike. 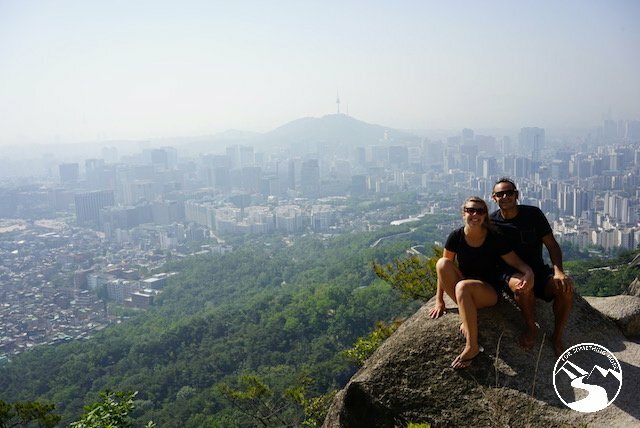 If you’re staying in another part of Seoul, it shouldn’t be too hard to find your own place to start, so go get hiking! 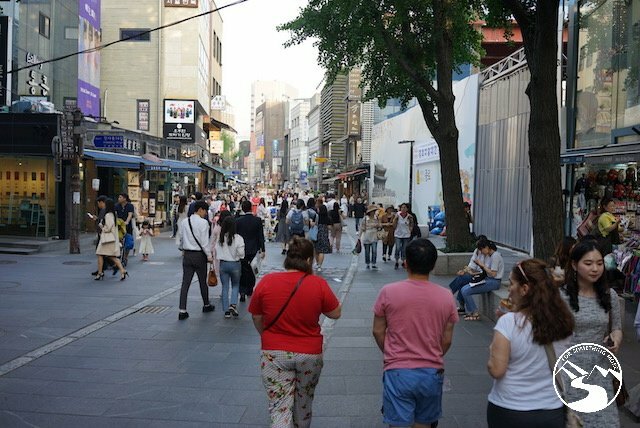 If you’re keen for TONS of shopping and street food, head on over to Myeongdong. 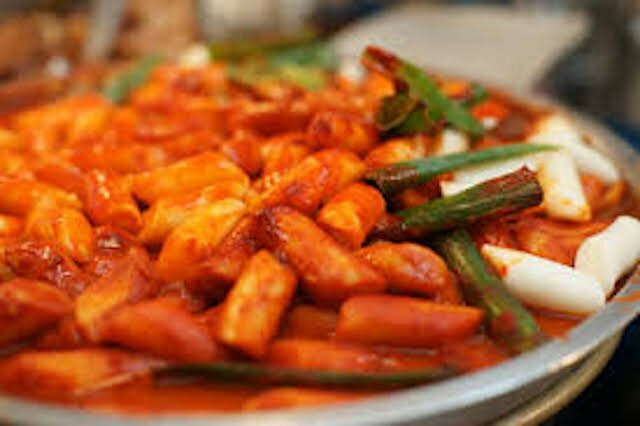 If you have a chance, definitely try some tteokbokki and mandu! After the hustle and bustle of Myeongdong, you’ll be ready to calm your nerves. 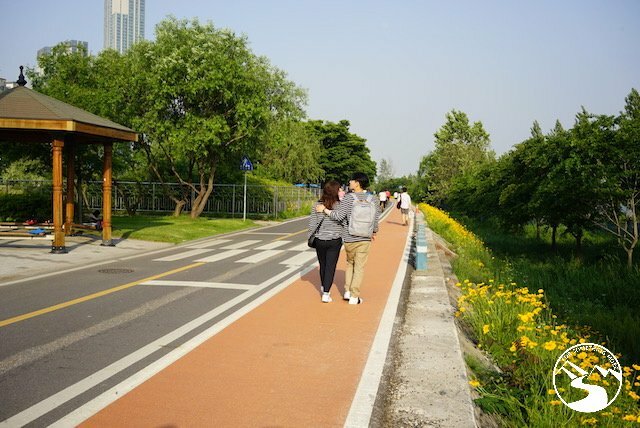 To do this, take a nice long stroll along the Cheonggyecheon Stream. 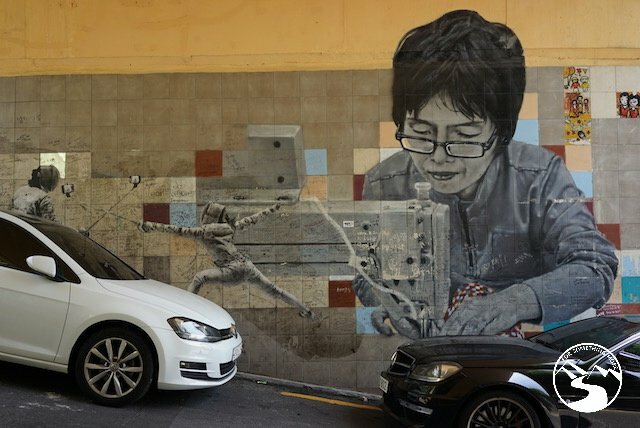 You can find this marked on our Snapshot of Seoul Google Map. 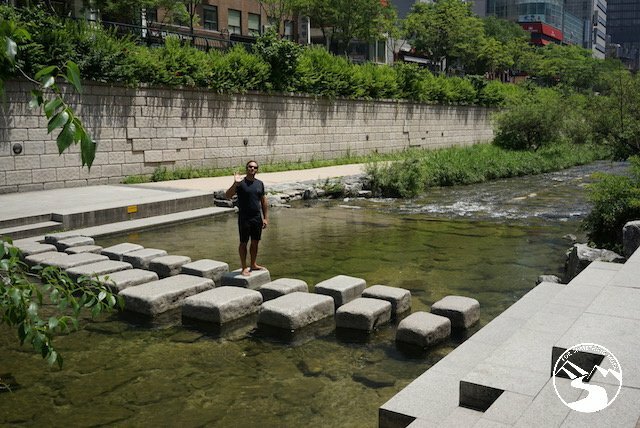 As this is a self-guided walking tour of Seoul, go as far as you’d like, and while you do, soak up the chill vibes from this burbling urban river. We stumbled upon this FOODIE HEAVEN, and we couldn’t have been more pleased. While we couldn’t find much about it online (we think that’s a good thing), we did mark it for you on our Snapshot of Seoul Google Map. Have a wander through, and sample any number of the delicious dishes on offer here. 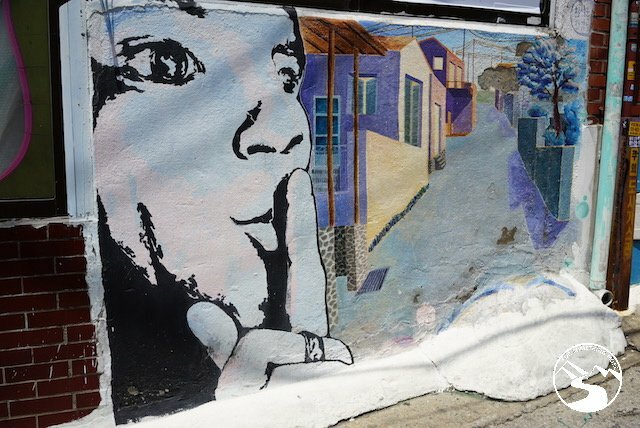 Once a decaying and low-income area, the neighborhood wide mural art project that began in this area in 2006 has rejuvenated the entire place. 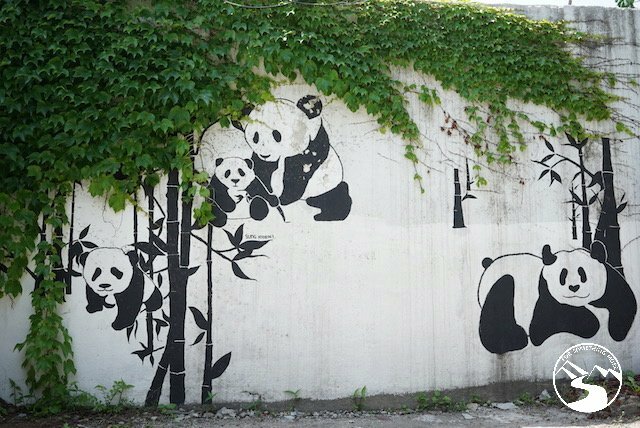 The Ihwa Mural Village is a must see spot during your two days in Seoul, South Korea. 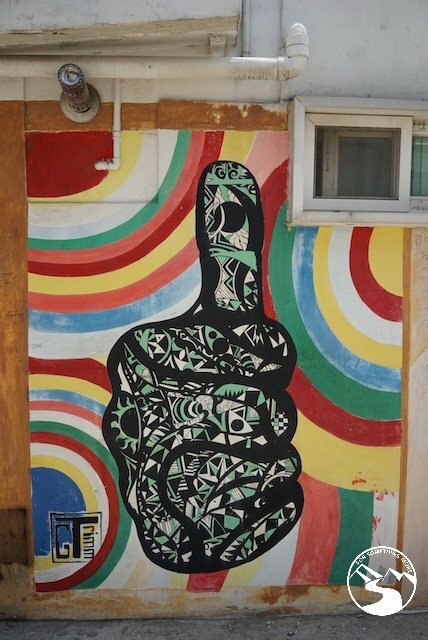 Wander through all the nooks and crannies of this neighborhood, but remember to be respectful to the residents. 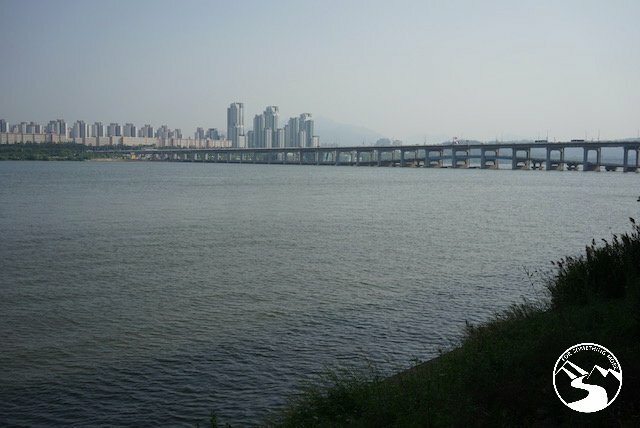 While you’re in the area, take a swing through the Naksan Park and Observation Deck. It offers beautiful views of the city below, and since it has plenty of benches, you’ll be able to rest your feet for a bit. We never said this self-guide walking tour for your two days in Seoul, South Korea would be easy! 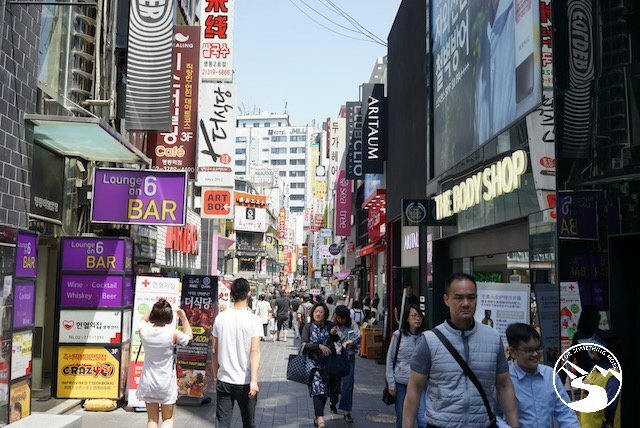 While you’re spending two days in Seoul, South Korea, you ought to check out one of the city’s most multicultural neighborhoods, Itaewon. 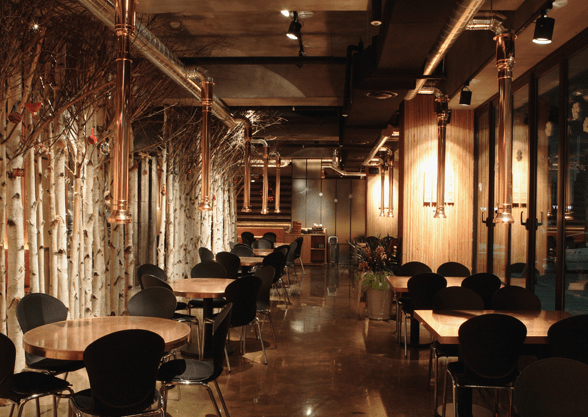 And while you’re there, if you are looking for a bit of an upscale Korean barbecue place, check out Maple Tree House. 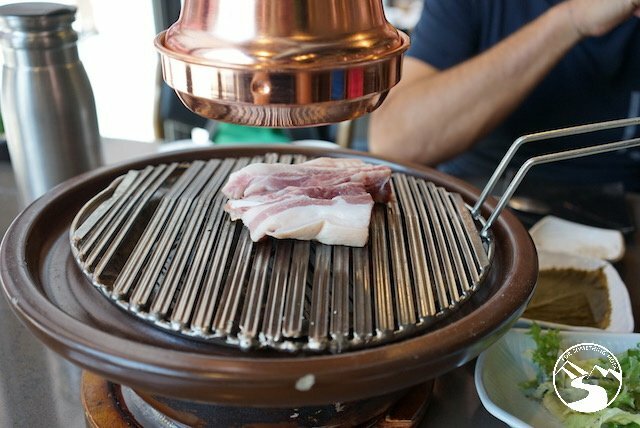 We recommend you to try their famous Black Pig from Jeju Island. We found it mouthwatering! 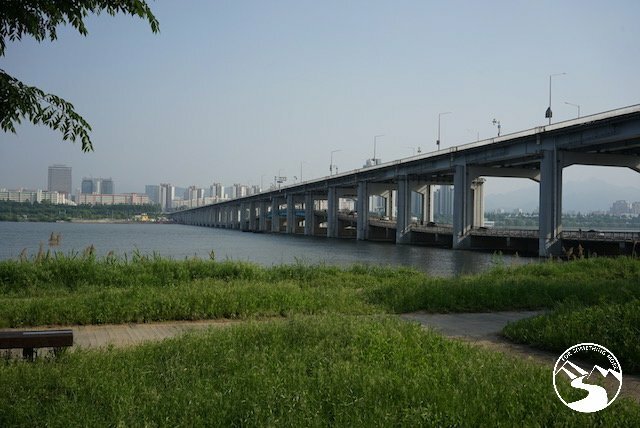 If you haven’t walked enough quite yet, head from Itaewon south down to the Han River. Stroll along the Han, and when you’re ready, veer off to the nearest train station so you can quickly get back to your accommodation. A self-guided walking tour for your two days in Seoul, South Korea wouldn’t be complete without a trip to the heart of the city, Insadong. With a lively bustling atmosphere, it’s perfect any time of day. Since there are tons of souvenir shops here, if you want to do any last-minute shopping, this is the perfect place to do it. 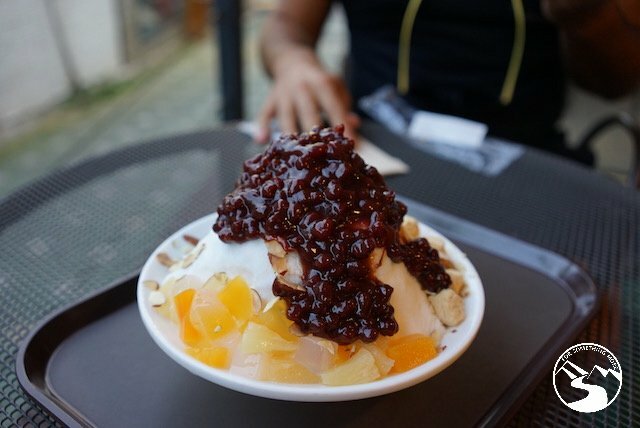 And, of course, make sure to stop and enjoy one of our favorite Korean desserts, patbingsu. It’s essentially a bed of shaved ice with various sweet toppings poured over it. We find it addictively delicious! If your feet are aching after your two days in Seoul, South Korea, rest assured ours were too. However, we were also filled to the brim with fond memories of this vibrant city and a thirst to come back to explore more! 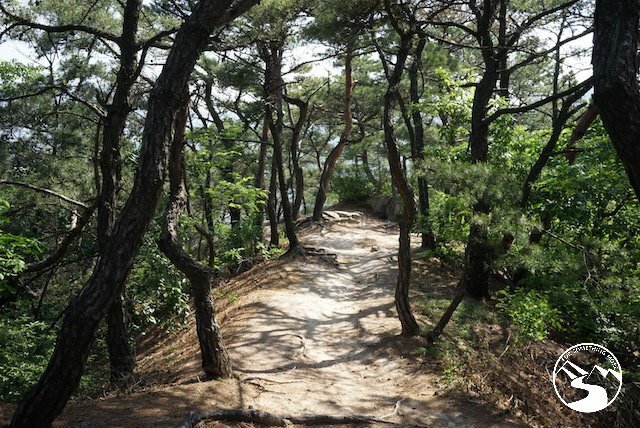 If you’re spending more time in South Korea, and you’re keen to experience a completely different vibe, consider taking the KTX Train 2 hours south to the city of Ulsan and hiking the mighty and beautiful Gaji Mountain (Gajisan). If you’re pushing off from Seoul, but you’re keen to experience yet another Asian metropolis, consider spending two days in Tokyo or even doing some urban hiking in Hong Kong. 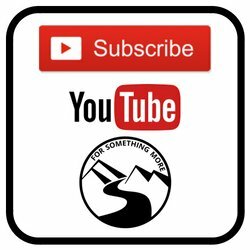 No matter what you do, if you have any questions, feel free to leave us a comment below. Happy travels!